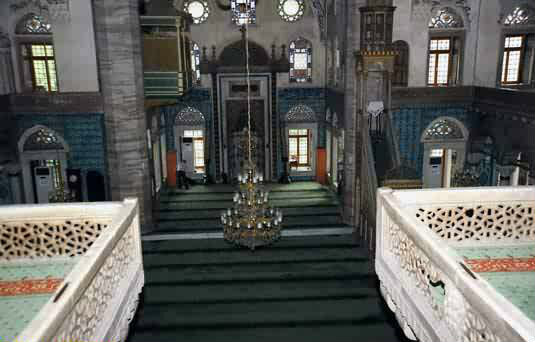 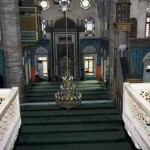 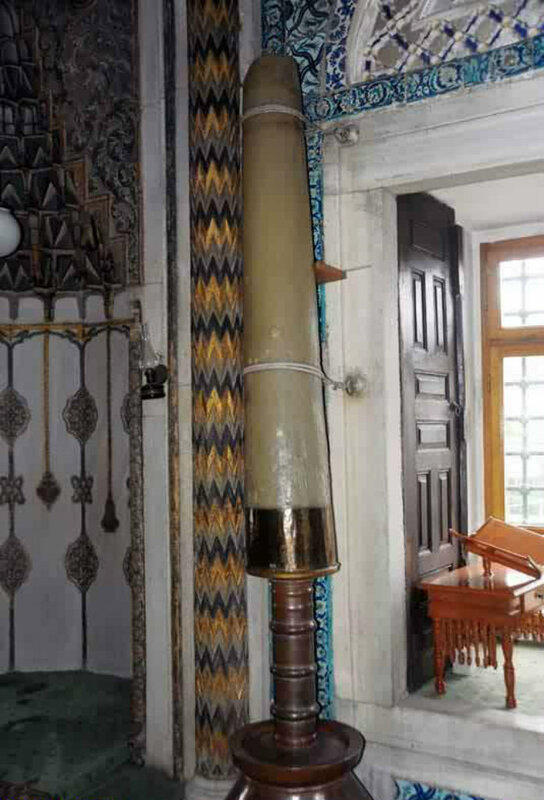 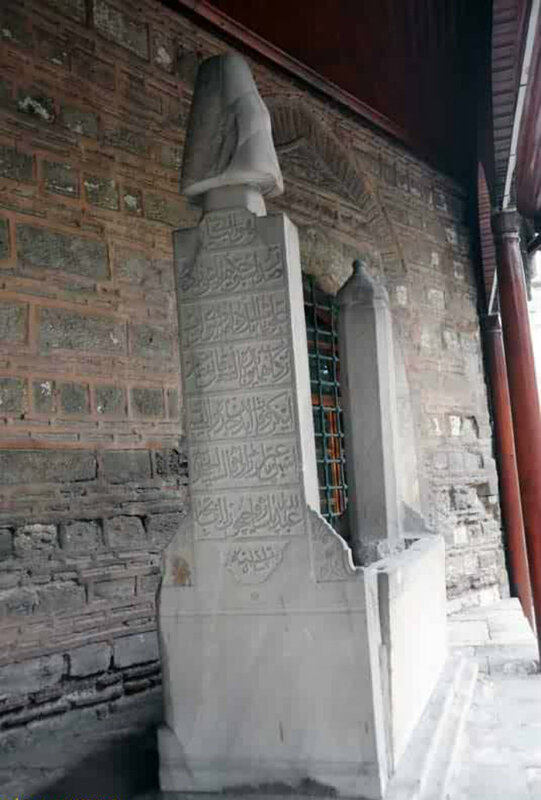 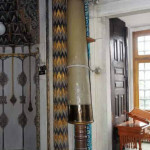 Built between 1734-1735, the Hekimoğlu Ali Paşa Mosque was commissioned by Hekimoğlu Ali Paşa, who was the Ottoman Grand Vizier on three different occasions. 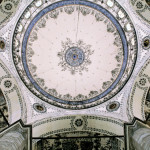 Built between 1734-1735, the Hekimoğlu Ali Paşa Mosque was commissioned by Hekimoğlu Ali Paşa, who was three times the Ottoman Grand Vizier. 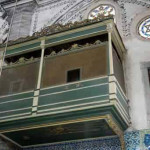 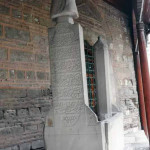 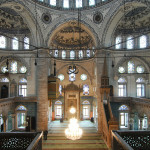 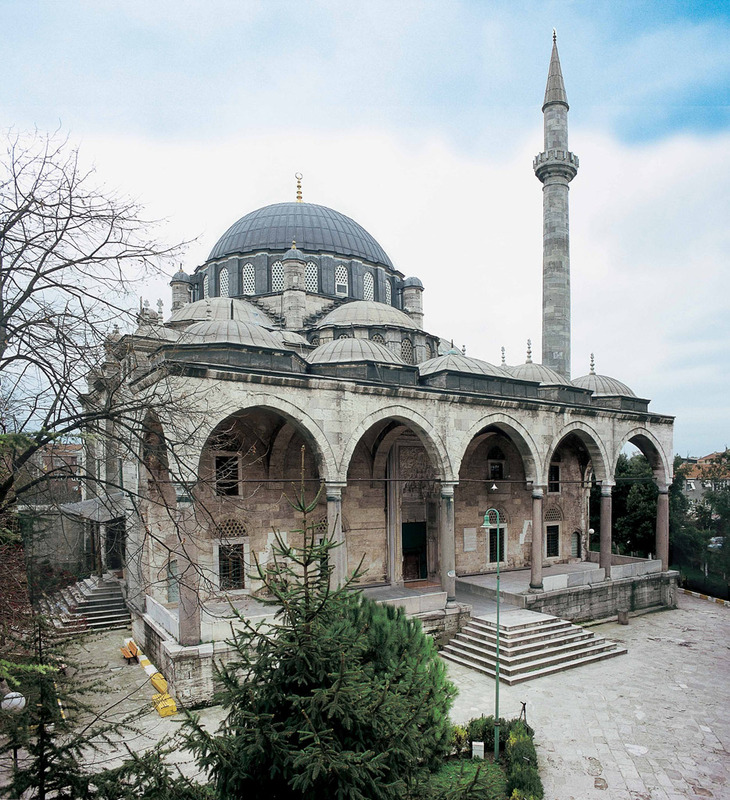 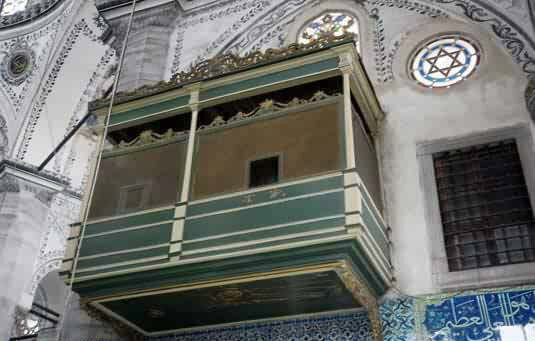 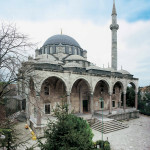 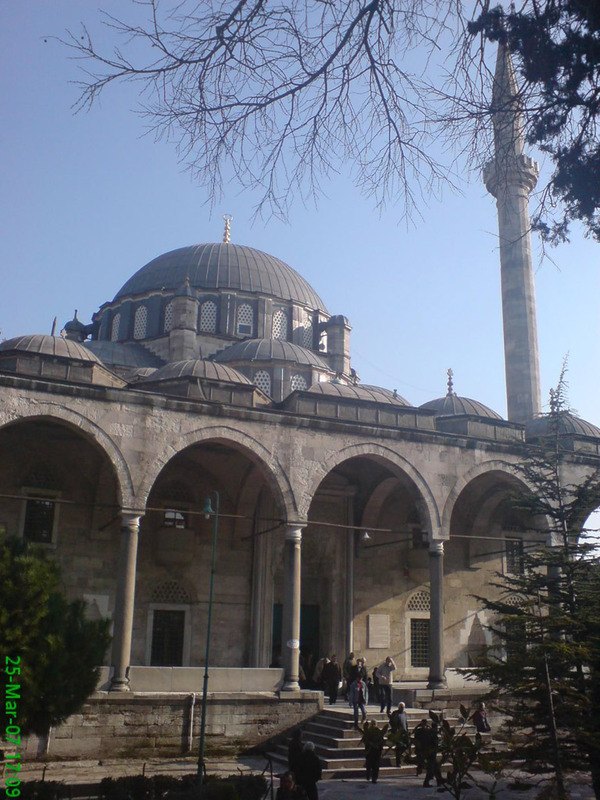 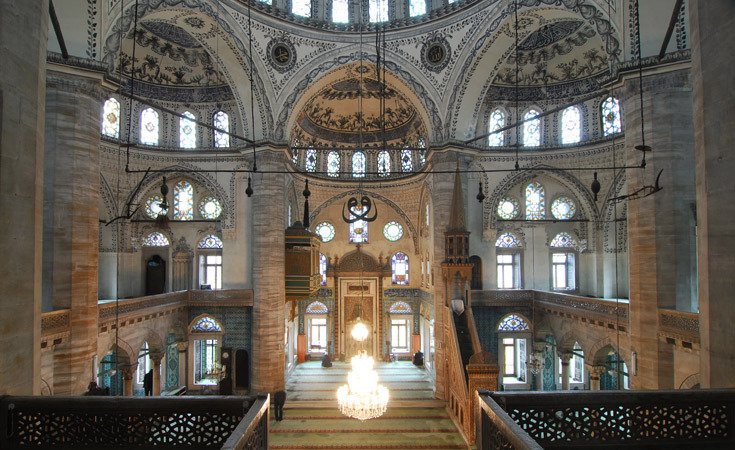 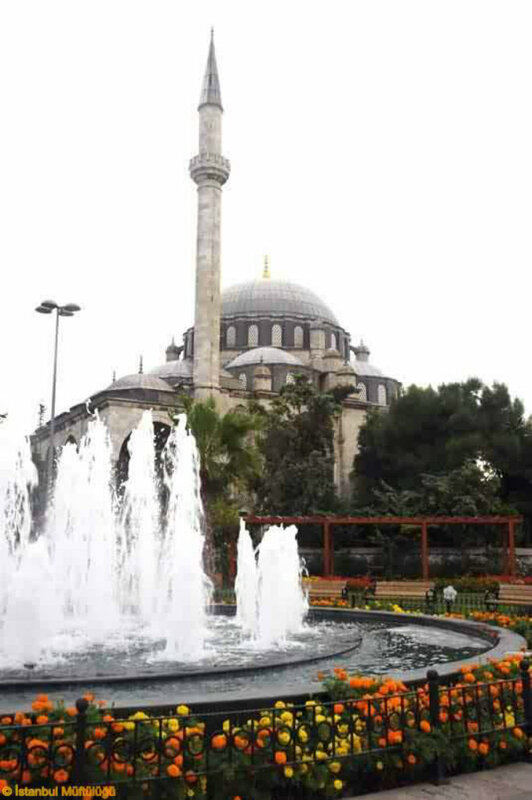 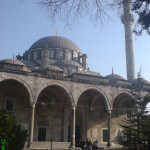 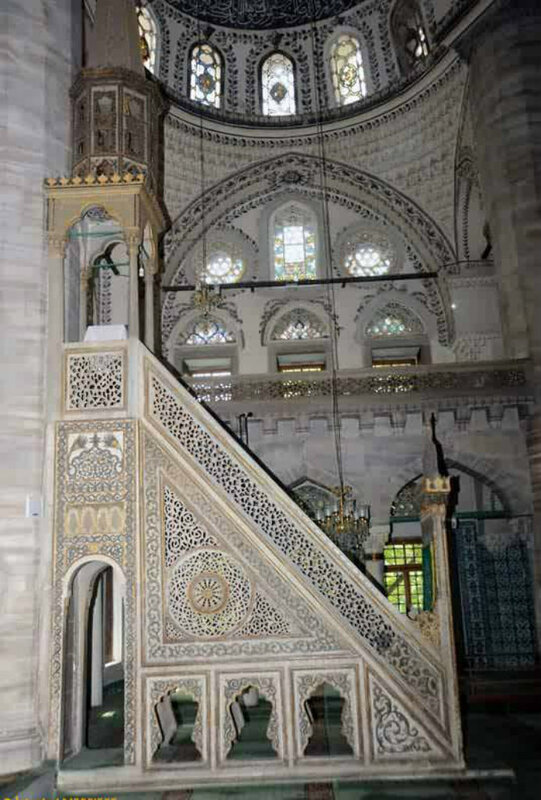 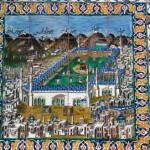 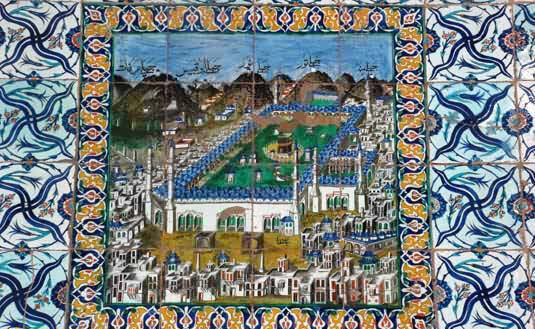 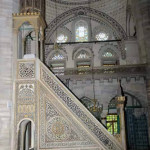 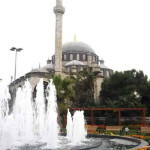 The mosque was part of a mosque complex (Turkish: kulliye) that also included a dervish lodge, a tomb, a public fountain, a library, and a primary school. 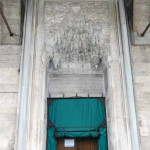 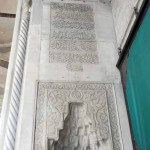 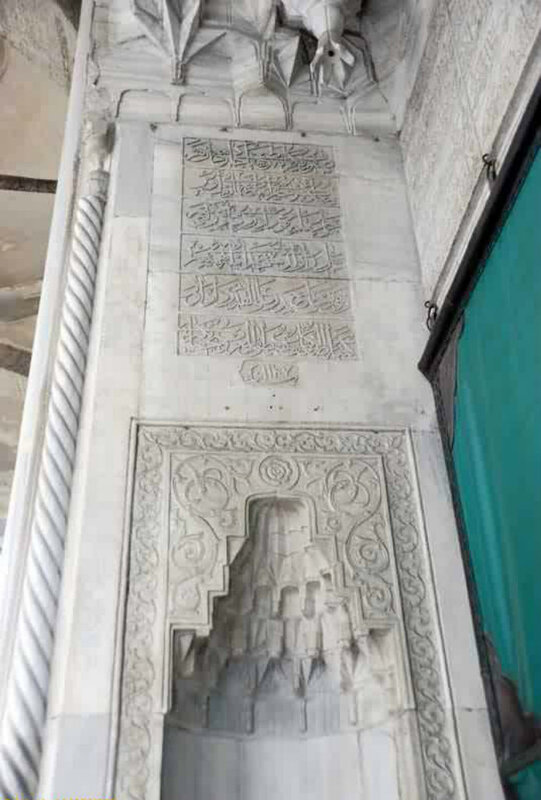 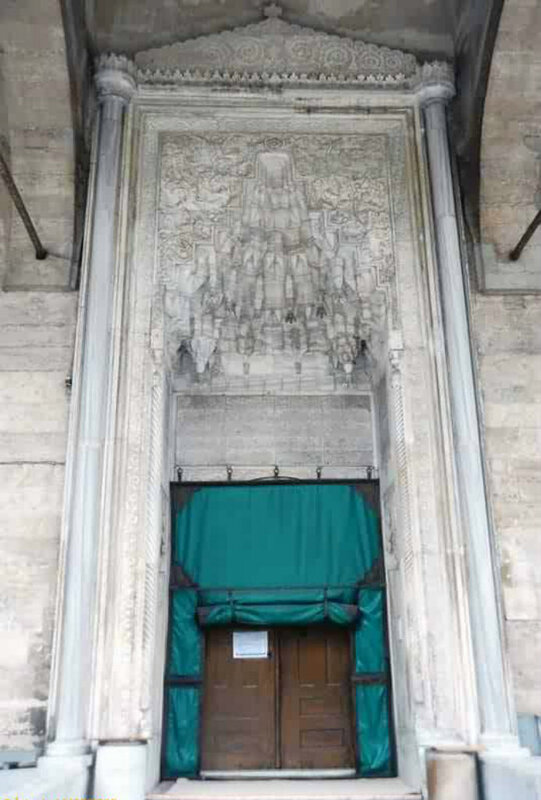 A poem by İshak Efendi graces the stone archway above its door. 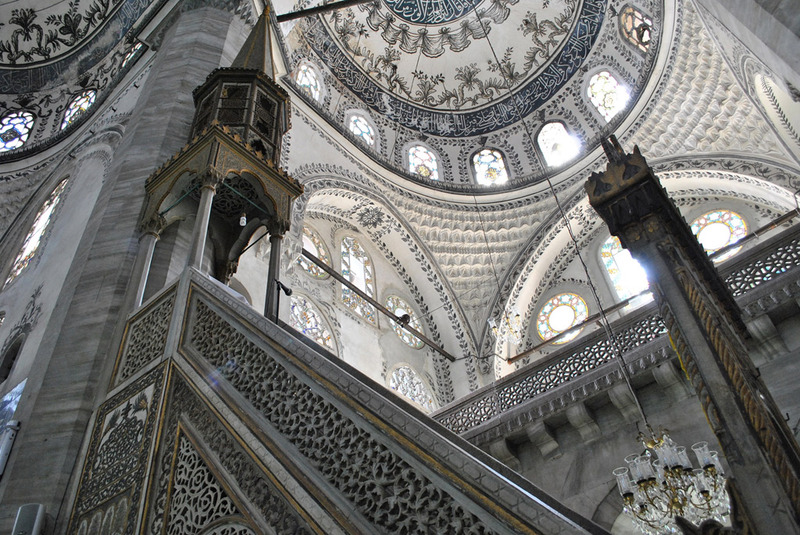 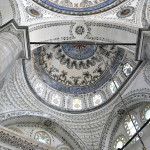 The mosque’s main dome rests on 6 large pillars joined by dodecagonal pointed arches. 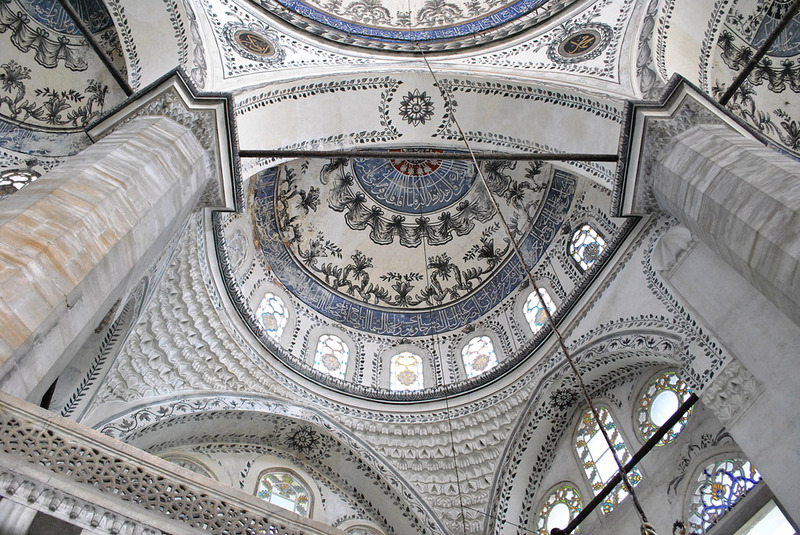 The inner sanctuary with its passageways adorned with pendants and murqarna patterns extends to six half-domes. 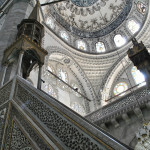 Each of the mosque’s five sides are covered with more than 100 windows and its thin, one-tiered minaret is found to the right of the mosque. 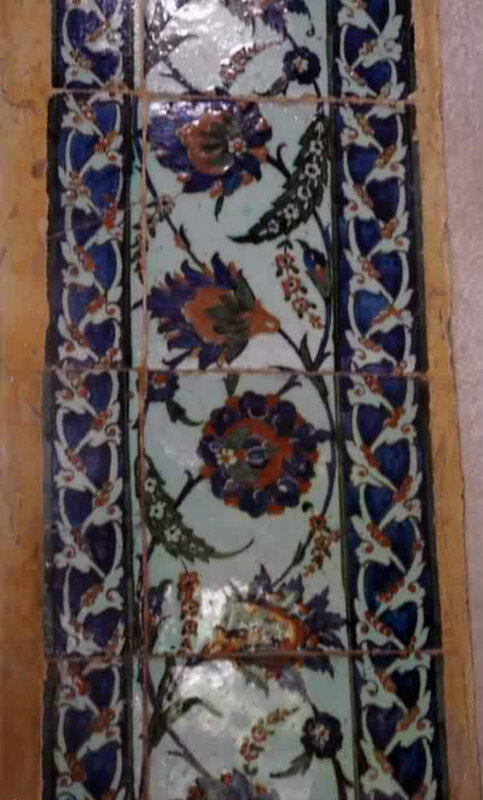 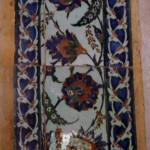 The mosque’s interior walls are decorated with blue tiles.